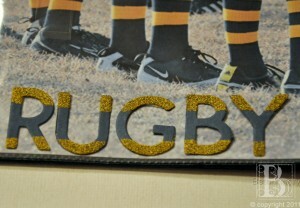 My soft spoken teenage son has taken up the gentleman’s sport of Rugby, and there is nothing soft about it! He’s really enjoying it and it gives me another photo op, so it’s all good, right? 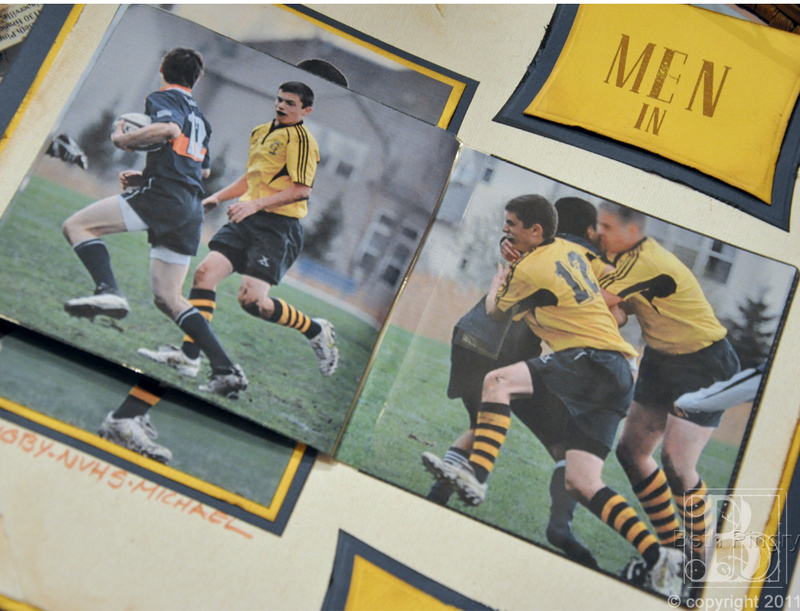 First I created a flip book from a package of Photo CD Packets. I printed photos to fit inside of and on the back side of each pocket. The back side has adhesive on it, and the last page of the book is attached to the scrapbook page. 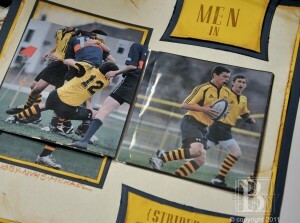 The other pockets have a photo on the back sides, and another photo inside the pocket. You could even add a CD if you wanted to! I stacked the pockets and used Crafty Power Tape on the flaps. Just flip the pages to see all the photos. Here is the way I created the stripes on the word Rugby. I started by placing a strip of blue cardstock onto an Adhesive Sheet. Next I made two strips of Crafty Power Tape across the cardstock. Then I die cut the fonts and taped them in place. I punched each letter, removed the Crafty Power Tape backing from the fronts. 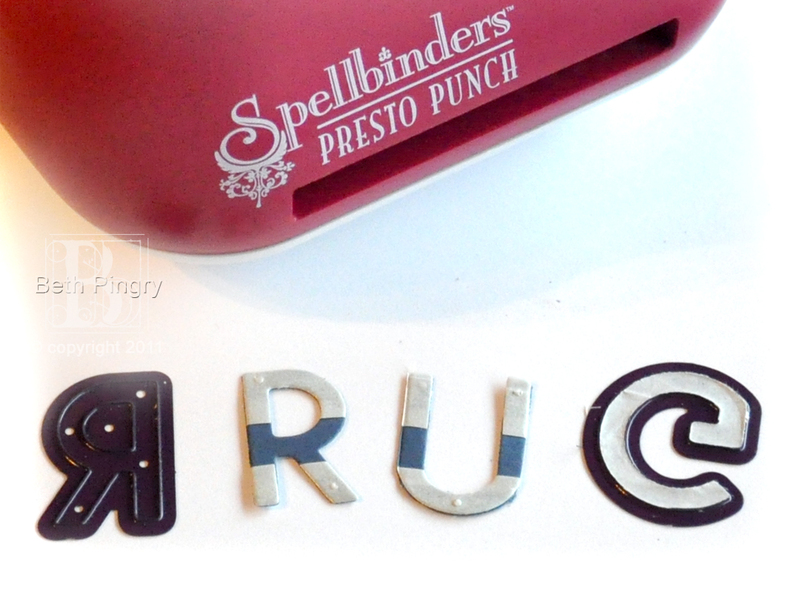 Then I dipped the letters into Distress™ embossing powder and heated until set. I removed the Adhesive Sheet backing and placed each letter on the top of the Photo CD Pocket. 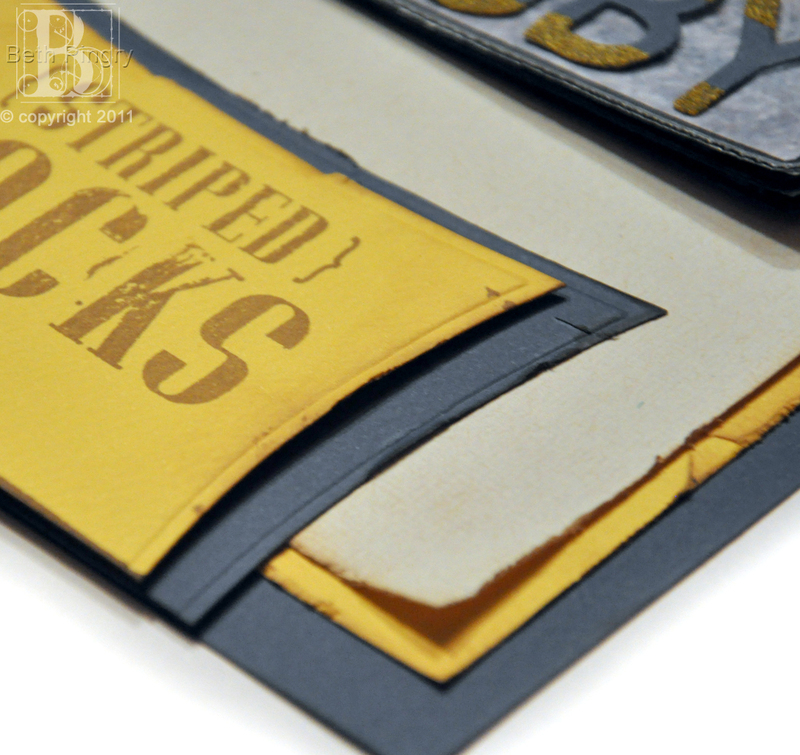 The large photo and the mats are adhered with MyStik™ Permanent Dispenser. The labels are stamped with “Men in” and “Striped Socks” and layered with 3D Foam Squares, for dimension and to match the height of the Photo CD Pocket mini-album. Now when I add this to his scrapbook the pages will be level. Using the right adhesive keeps my projects neat and clean. 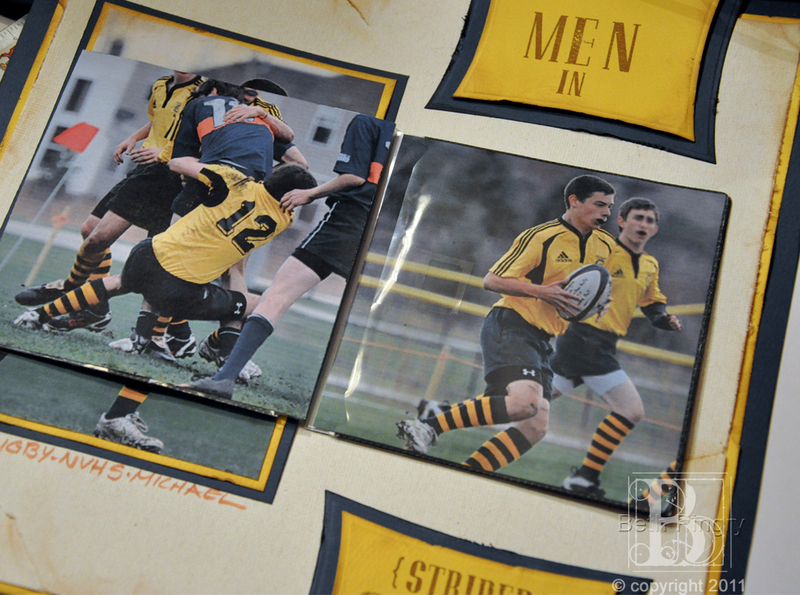 Speaking of neat and clean, which is not something I associate with Rugby, especially the laundry it generates, I roughed up and inked the edges of all the papers to give it that ‘just tackled’ look. This entry was posted in 3D Foam Squares, Adhesive Sheets, Adhesives, Crafts & Tutorials, Crafty Power Tape, Embellishments, MyStik® Dispensers, Permanent Adhesive, Photo CD Pockets, Scrapbook Page, Scrapbooking, Tutorial, Wear your Adhesive on the Outside and tagged 3D Foam Squares Mix White, Adhesive Sheets 12x12" (25 sheets), Adhesive Sheets 12x12" (5 sheets), Adhesive Sheets 4x6", Adhesive Sheets 6x12", Beth Pingry, Clearsnap, Crafty Power Tape 20' Dispenser, Crafty Power Tape 20' Refill, Crafty Power Tape 81' Dispenser, Die Cut, Embossing Powder, JustRite Papercraft, MyStik Permanent Strips, MyStik Permanent Strips Value Pack 1 Dispenser 2 Refills, MyStik Permanent Strips Value Pack 3 Refills, Photo CD Pockets, Ranger Ink, Rugby, Spellbinders Paper Arts, Sports, Techniques, Tutorial, WorldWin Papers. Bookmark the permalink. 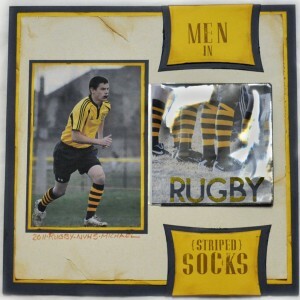 4 Responses to "Rugby: Men in Striped Socks Scrapbook Page"
OMGOSH! He’s is getting so big! LOVE those socks! LOL!! Great idea to include the Photo CD Pockets and LOVE my Crafty Power Tape – talk about STICK! Thanks for the inspiration, Beth!! Beth, what a fantastic idea!! I absolutely LOVE IT!! I’m definitely going to do this. I just love it! Wow – what a young man he is! 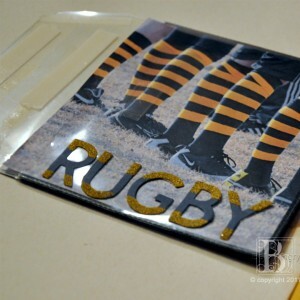 Great idea to put a mini book on a layout.